The Polokwane property market topped the R1.1 billion mark last year with over 1000 units sold. 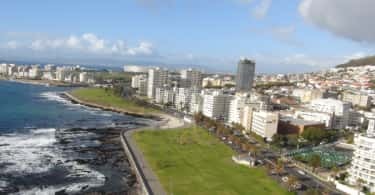 Oliver Moorcroft, Seeff’s principal for the area says that activity for the last year was slightly up on the prior year and there is now a shortage of properties below the R1 million price mark. “While not impervious to the economic pressures, ordinary buyers, sellers and investors in the Polokwane area continue about their daily business, buying, selling and investing in property and we remain confident that the market will remain active throughout this year”. “Unlike the mining towns of the northern regions, Polokwane is not reliant on mining for its economy. The city is therefore one of the few in the northern region provinces where average prices have continued growing, being up by about 6% year-on-year”, says Moorcroft. It now boasts a median price for sectional title property of around R740 000, full title at around R1.25m and estates at around R1.45m. Top end house prices though easily reach R1.8m to R2.4m. “Although the lower end of the market tends to pick up the bulk of the activity, there has been very healthy activity in the R800 000-R1.5m range as well as in the R1.5m-R3m range”, he says. An interesting trend is that younger people continue investing in property with the under 36-year, millennial age group comprising 35% of activity and the next age group up to 39 years comprising a further 46%. “That”, says Moorcroft, “speaks volumes for the confidence in the market”. “That said, there are a number of key pointers that sellers need to bear in mind. Firstly, market-related pricing is important as buyers are not prepared to overpay. This will become even more important as the economic outlook weakens”, he adds. A second important point, is the need for sole mandates and working with a credible real estate brand as this delivers the best results in the shortest possible time. Moorcroft points out that Seeff for example sells it sole mandated properties within 67 days on average; that is in half the time of 135 days that it takes the rest of the market. Polokwane has a number of strategic advantages which bodes well for the property market, he continues. It is a popular stopover point for road travelers on their way to and from South Africa’s northern neighbours (Botswana and Zimbabwe), and for those heading for the northern parts of the Kruger National Park, which lies to the east. Its Gateway International Airport handles mainly domestic and regional traffic, which is expanding. The Polokwane Game Reserve is close to town, and one of the country’s larger city sanctuaries. The reserve is a haven for white rhino, giraffe, zebra, eland, red hartebeest and other antelope, together with a healthy 280 species of bird. Game-viewing trails wind through pleasant countryside. Another attraction in the area, is the nearby Soutpansberg, a lovely range of hills that ideal for the hiker, rambler, bird-watcher and lover of quiet forest country. It lies to the north and is easily accessible from the city. Moorcroft says further that there are a number of exciting new developments in the city that offer a variety of properties and prices for buyers. The first is a secure, new townhouse development, The Glen, located in Bendor Park that offers 30 units in all, but only a handful are still on sale. These range from two to three bedroomed units, priced from just R1.2m and present excellent investment potential for rental accommodation. Also in the area, is the last chance to grab a modern three-bedroomed duplex in Aqua Villa, priced at R1.58m. The homes comes with beautiful finishes including a braai room and double garage. There is also one last three bedroomed townhouse on offer in the Olive Villa development that has just six units in all. 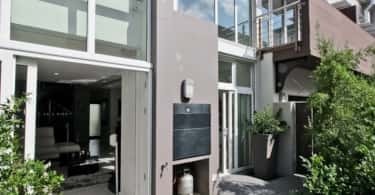 It is priced at R1.25m and comes with a double garage and modern finishes.